Click on any image below to see the full sized image or right click and select Save Target As to download to your computer. 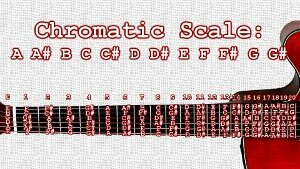 This image has every note on a standard tuned guitar labeled. 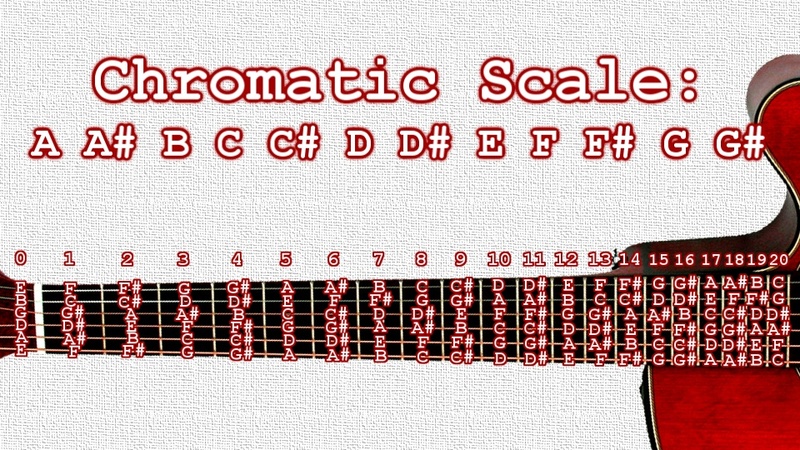 The chromatic scale is made up of all 12 notes. 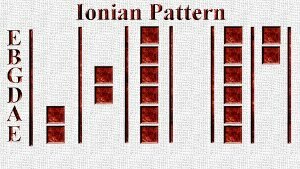 This is the Ionian pattern that you can use to play a major scale across all 6 strings. 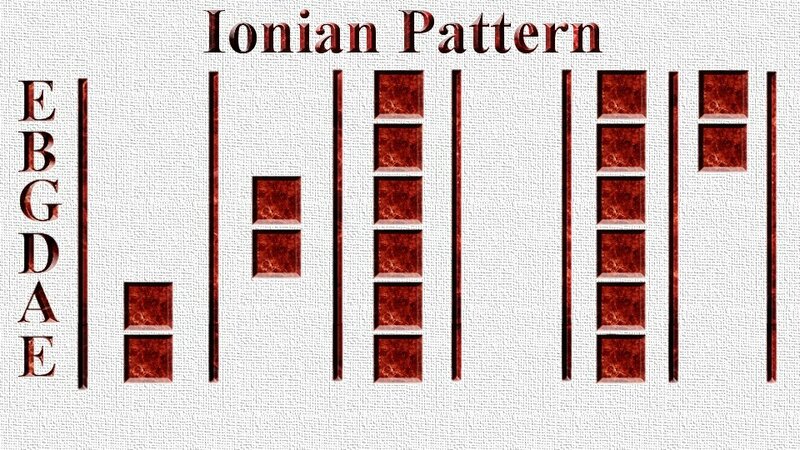 Check out my Major Scale video if that doesn't make sense to you.